When I was a little girl, every Christmas afternoon, my Grandpa Marshall would take me over to his Mom and Dad’s home after we opened presents. My Nana, Laura Moore, would always have a cherry pie ready for him, it was my Grandpa’s favorite, and sugar cookies for all of her grandchildren (there were a lot of us, but I was the eldest.) I would sit at her kitchen table and eat a sugar cookie and wrap the rest to bring home. I wanted to save them, they were so delicious! 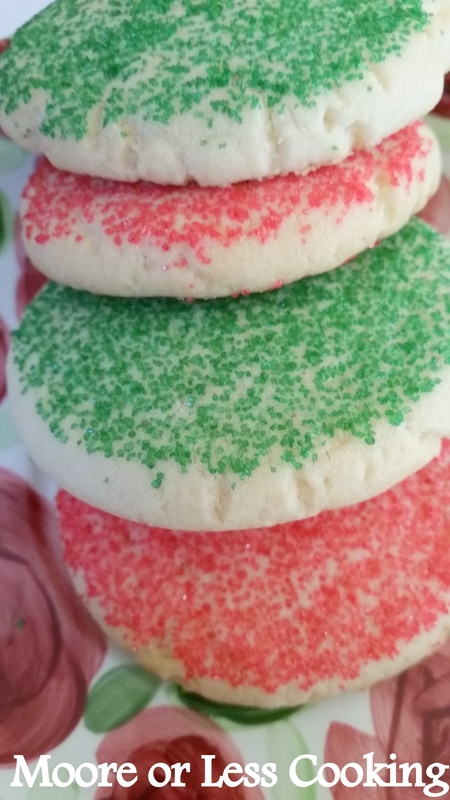 Nana’s sugar cookies taste like Christmas to me. I hope that you enjoy Nana’s Sugar Cookies and make them a part of your holiday tradition as well! 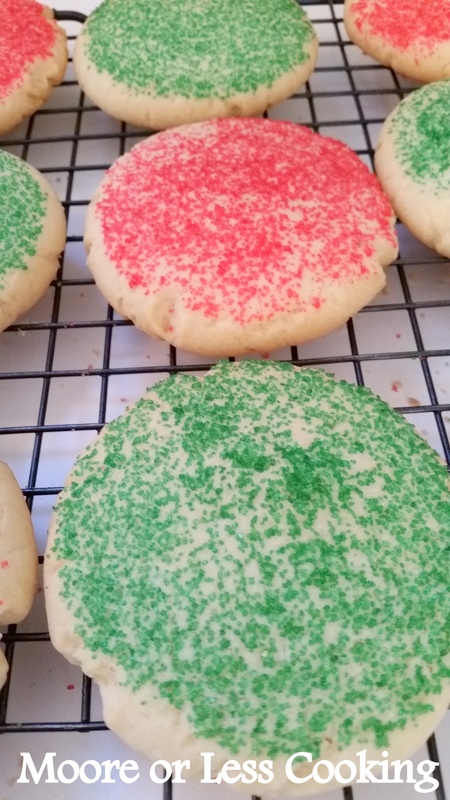 Nan’s Sugar Cookies are fun and easy to make. 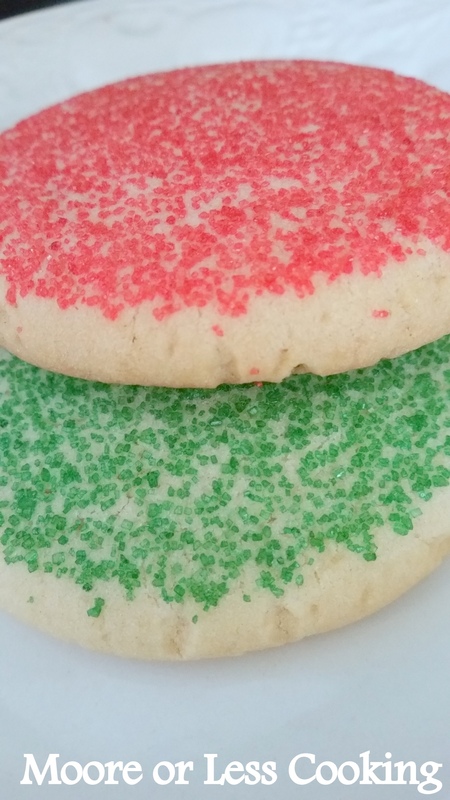 Grab your kids to help you in the kitchen, they will love pressing the sprinkles on the cookies! 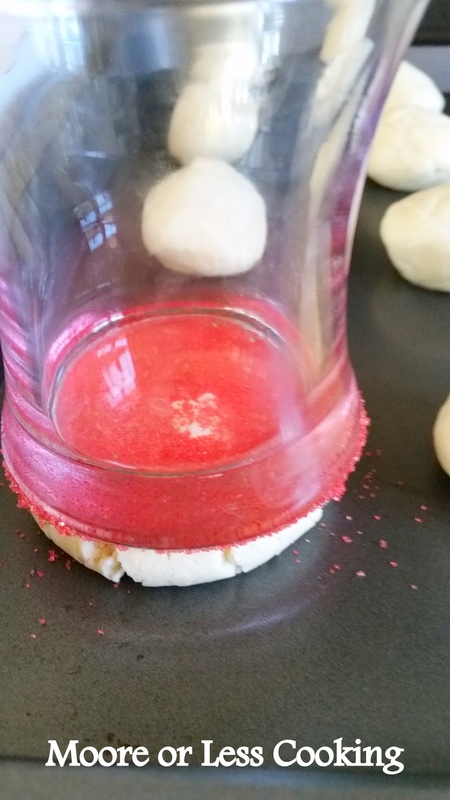 Wet a paper towel, wipe the bottom of a glass, dip in colored sugar, then press on cookie dough ball and flatten. Fun to do with kids! 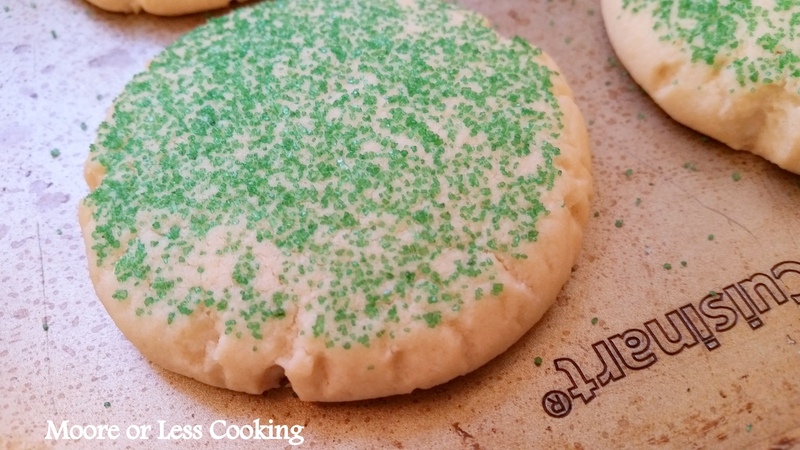 This recipe makes 6 dozen Sugar Cookies! Perfect for Christmas gifts! They are so festive and pretty and will bring a smile to anyone who eats them! 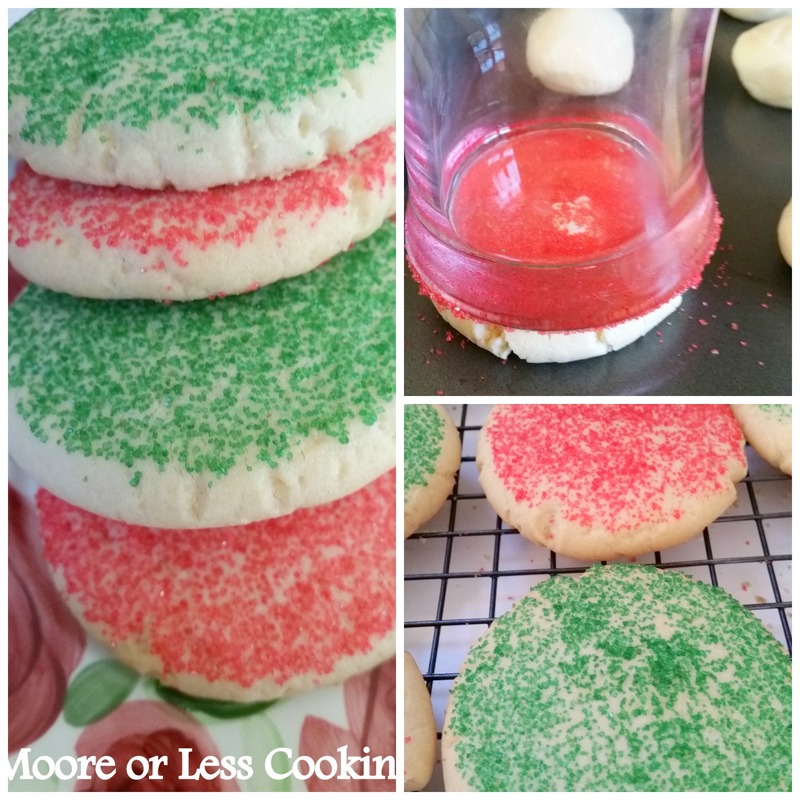 Use red and green sprinkles for Christmas! 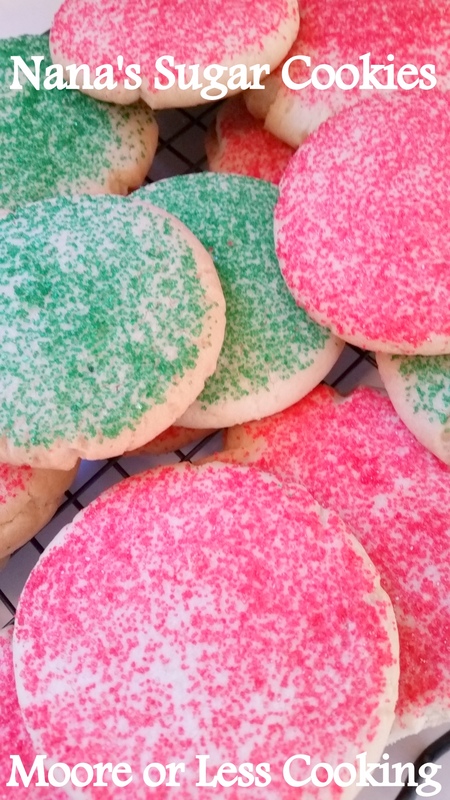 Best Sugar Cookies, just like Grandma makes! Cream granulated sugar, butter and vanilla by hand or in a KitchenAid. Add powdered sugar, oil and eggs. Sift together (in a separate bowl) flour, salt, baking soda and cream of tartar. Slowly add to wet mixture, mixing until just combined. Add a cup of dry ingredient mixture at a time, mixing after each addition. Form rounded teaspoonfuls into balls and place on ungreased Cookie Sheets. Using a moistened paper towel wet the bottom of a glass, dip in colored sugar (re-dipping for each cookie) and flatten ball of dough. You may need to apply the moistened paper towel every so often, to keep glass wet and easily able to pick up sugar crystals. Bake at 350 degrees for 11-13 minutes or until edges turn slightly brown. Remove immediately from cookie sheet and cool on wire rack. So happy that you enjoyed them, thank you for stopping by and leaving a review.